The battle of supremacy between Brazillian Player, Neymar and his PSG club mate, Edison Cavani has gotten fiercer, as Cavani reportedly turned down a €1million bonus to hand over penalty duties to the World Most Expensive player. According to El Pais, Cavani would receive the bonus for finishing the season as Ligue 1’s top goalscorer, however PSG’s president Nasser Al-Khelaifi, allegedly offered to pay him the money, whether or not he finishes atop the scoring charts with the condition. It was also gathered that Nasser Al-Khelaifi, PSG’s owner, also spent the past week in negotiations with Cavani and his representatives in a bid to reach an agreement following the embarrassing public fall-out during the club’s 2-0 win over Lyon on September 18. 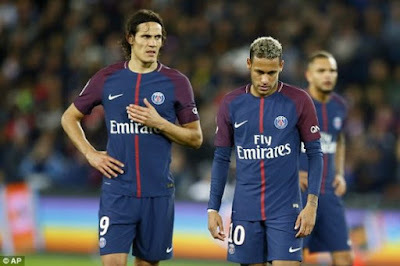 It is also understood to have sent representatives to convince Neymar to drop the dispute, explaining that the world’s most expensive footballer, should allow Cavani take penalties to maintain his confidence up front. 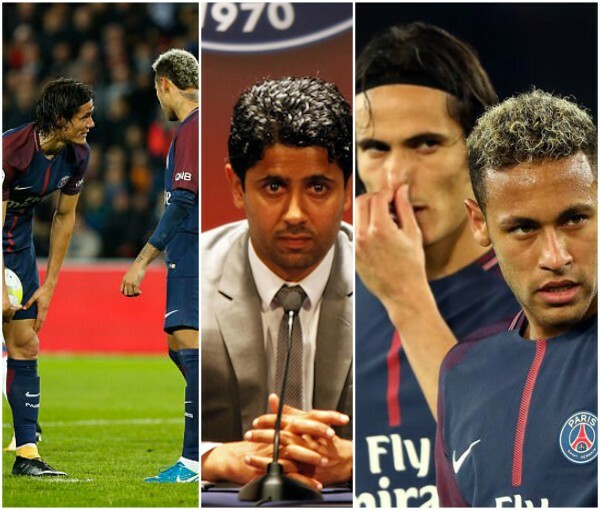 Spanish daily claim the PSG squad are backing Cavani on the matter, with the 30-year-old designated as the club’s penalty taker before Neymar’s arrival. 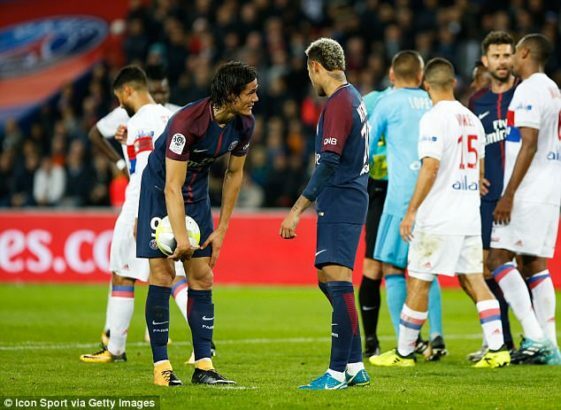 This is coming after Neymar was seen remonstrating with Cavani as they both stood over the spot arguing over who should take the penalty, having earlier squabbled over the taking of a set-piece. The two forwards, who combined cost the French giants an eye-watering £253million, had seemed to be striking up a potent partnership after the Brazilian’s world-record move from Barcelona this summer.